Did you know that everyday crafts supplies can contain a range of toxic chemicals including volatile organic compounds (VOCs), 1,4 Dioxane, lead and other heavy metals, and butylated compounds? These chemicals can cause everything from organ damage to cancer, so you want to make sure that your children aren’t exposed to them. Even products labeled “natural” can sometimes hide harmful ingredients. Instead, look for products labeled “non-toxic”, “zero VOC” or “certified organic”. To help you take the guesswork out of choosing craft supplies for your children, the Tot only sells products that are entirely free of toxins and safe for little hands. Here are our top bestsellers. This non-toxic, biodegradable and vegan paint kit contains six vibrant colors. Just add water to the powders to create your paints! The kit also comes with an Earth Art booklet with instructions and nature-based activity ideas. The Playon Crayon packs include 12 crayons made from 100 percent non-toxic wax. Their unique shape makes them stackable, easy for small hands to hold, and less likely to break or cause choking. 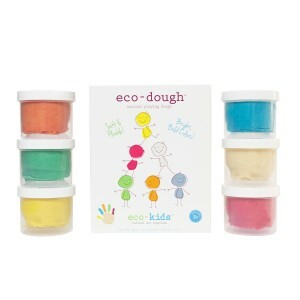 The Eco-Dough set is exploratory molding dough made with non GMO flour, salt, cream of tartar, soy oil, organic rosemary oil, vitamin e oil, water, citric acid, potassium sorbate, FDA approved soy based organic and inorganic pigments. Essential oils keep the dough soft and pliable and provide a light aroma. Tots will love getting messy with this colorful dough. 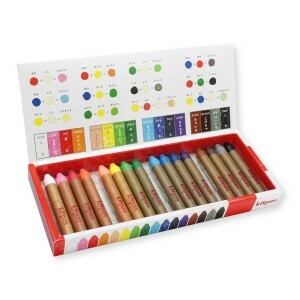 Kitpas’ paraffin crayons are toxin-free, eco-friendly and water-soluble. Kids can draw on paper, windows and whiteboards to their hearts’ content. When they’re done, simply use a wet cloth to erase. 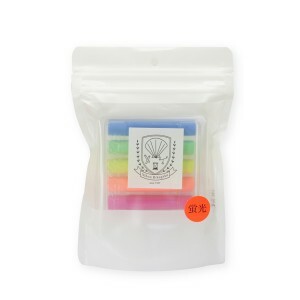 These amazing dustless chalks are made in Japan from calcium carbonate and recycled scallop shells. Not a dubious chemical in sight and they last twice as long as regular chalk! 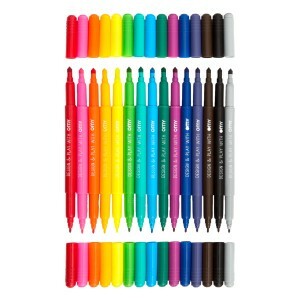 OMY’s Ultra Washable pens can be easily removed from skin and fabrics with a little soap and water. 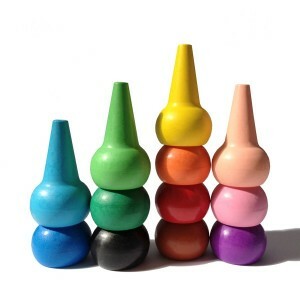 The set includes 16 bright colors and a pencil holder. 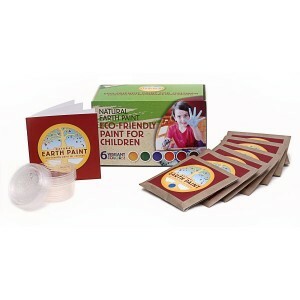 Made with natural and organic fruit, plant and vegetable extracts, Eco-Finger Paints come in five cool colors that contain nary a nasty chemical. You’ll have peace of mind to let your child’s imagination run wild! The Dough Parlour’s modeling dough is handmade in Canada from 100% FDA/CFIA-approved safe food coloring dyes. 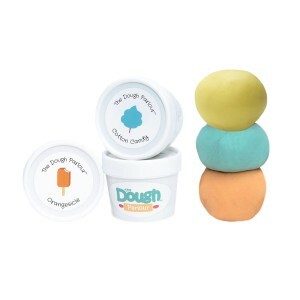 Each pack comes with three different colors of scented dough reminiscent of childhood treats. 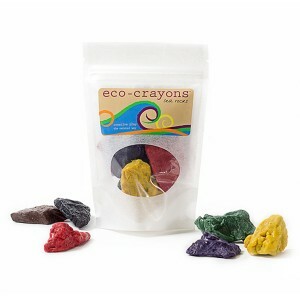 These non toxic and eco-friendly crayon rocks are made in the USA from bees wax, carnuba wax, soy wax and mineral pigments and are designed to emulate sea rocks from the beautiful Maine coast. Their unique shapes mean hours of fun for your kids and minimal “picking crayons up off the floor from rolling off the table” time for parents. And, most importantly, if they end up in your tot’s mouth once in a while, it’s ok!